It all started in Maceió (AL), one of the most beautiful capitals of Brazil, when, in the agitated 1960s, the world’s largest brand of coconut derivatives appeared. It was in the year of 1966 that a Portuguese group appeared with a very irreverent proposal. According to their representatives, their goal was to produce, process and distribute coconut derivatives in a way never seen before, both at home and abroad. And so it was done. Always seeking to broaden its horizons and modernize its own concepts, SOCOCO, after millions of coconuts planted, peeled and distributed, has become one of the main references of the food genre in the world. Our company is constantly upgrading. With an incredible capacity to overcome in the development of products more practical and tasty, SOCOCO also has a sophisticated structure of laboratories where all its tests involving research and technology take place. The fact that we are a company that is intrinsically linked to the coconut trees and the environment has made us a sustainable brand by nature. Today we can say that SOCOCO’s first commitment is with its socio-environmental responsibility, always aiming to contribute to the construction of a better and more pleasant world for our children and grandchildren. And so it is, with a solid work philosophy, sophisticated research structure and employees 100% identified with the brand, the Sococo Family has been achieving success in everything it proposes to do. Known as the Paradise of Waters, the city of Maceió, capital of Alagoas received a new concept of paradise, the Coconut. Grated coconut, the first product marketed by Sococo, was making its debut in the market. 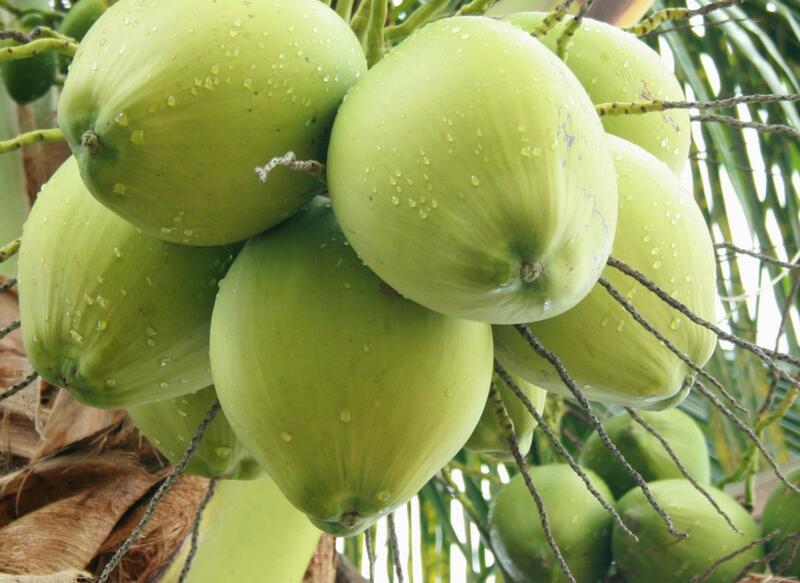 After being extracted from the best available coconuts, the pulp was ground to achieve a balance in its fat content. In addition, the food still brought a great novelty: it was gluten-free. For these and others, the grated coconut Sococo became, in a short time, indispensable for the kitchen of thousands of Brazilian families. 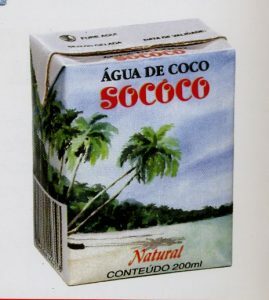 Two years later, Sococo again surprised the market by launching one of those products that would end up joining the best-selling list: traditional coconut milk. With an evident difference in its consistency and quality, the product soon won homemakers and restaurant chefs from across the country. Ten years later, Sococo takes another long step towards an increasingly prosperous future. After much investment in research with the renowned IRHO (Institut de Researches pour les Huilles et Oleagineaux), the brand representatives decided that the municipality of Moju, 110 km from Belém , would be the ideal place for planting hybrid coconut species. Thats how the SOCOCO farm came up, with a total area of more than 20 thousand hectares. In 1987 appears “Industrial Processing Unit”, also in Para. Located in the municipality of Ananindeua, the unit was responsible for processing all fruits harvested on the farm. The early 1990s provided another great innovation of the brand that was already the darling of millions of Brazilians. Have you ever thought of driking a cold coconut water without having to carry a coconut around? Well, this is normal nowadays … Thanks to Sococo! The release of the coconut water in the bottle combined flavor, practicality and health. Beside having few calories, being naturally isotonic and a source of numerous minerals, the beverage still provides complete hydration. A true revolution promoted by Sococo! 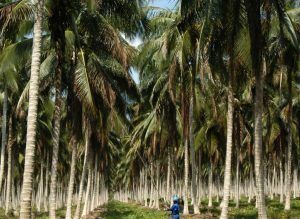 With increasing demand, Sococo feels the need to implant another coconut tree farm, now in the city of Santa Isabel (PA). 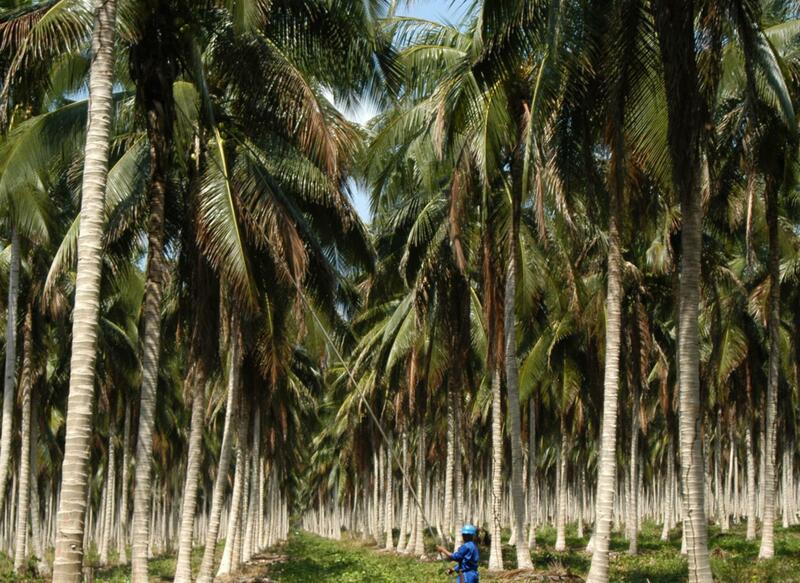 The area, which presents about 2 thousand hectares, is used for planting coconut-dwarf. As a result of increased production, two more industrial units also needed to be built in Ananindeua. In 2012, during an award sponsored by Globo Rural Magazine, from Editora Globo, Sococo took first place in the “Basic Foods” category, which proves the growing appreciation and identification of the brand with the Brazilian public.